One factor motivating the pronounced, widespread negative public opinion crime comics in particular attracted in the 1940s was that they defied preconceived adult expectations of what was generally understood to be a species of children's literature. In one of the earliest critiques of comic books, a 1940 newspaper editorial entitled 'A National Disgrace' (see section 6) children's author Sterling North describes his shock at discovering what actually lurked in the pages of the so-called 'funny books': "Frankly we were not perturbed when we first heard about the rise of the action 'comics.' We imagined (as do most parents) that they were no worse than the 'funnies' in the newspapers." The very first comic books in the mid-1930s were actually collections of newspaper strip reprinted and stapled together, so the parents whom North is addressing would likely have had no reason to expect anything different from the books their children were buying. North's sense of betrayal was indeed felt by many parents, who often associated the form primarily with such collections of anthropomorphic animal stories as Animal Comics. 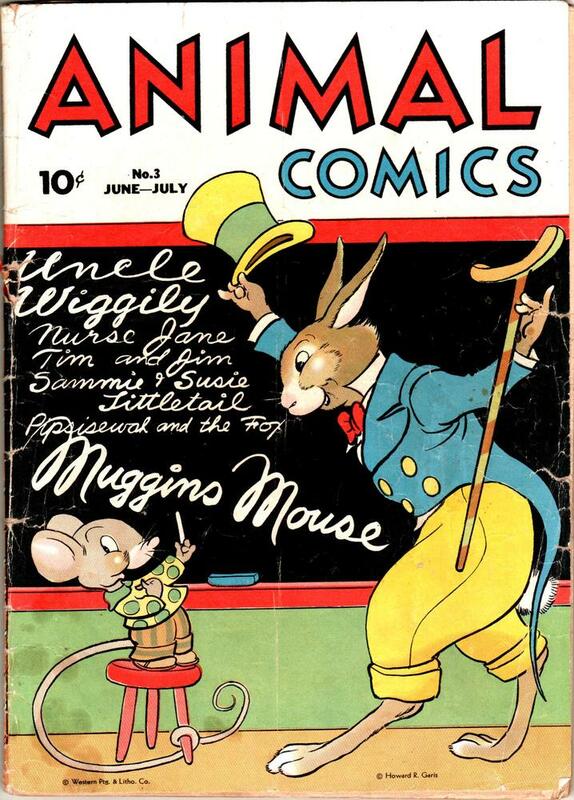 Such 'animal funnies' comics were indeed among the most popular, and they were also clearly marked as children's reading, adhering to the conventions typically found in mainstream children's literature. In The Pleasures of Children's Literature (3rd ed. 2003), Perry Nodelman and Mavis Reimer describe a number of generic features characteristic of modern children's stories: child or childlike focalizers with whom child readers are expected to identify; adult-voiced third person narration that reproduces the dynamics of a parent telling a child a story; a 'home-away-home' structure that begins with the protagonist's departure from home for adventure and ends with a return to domestic comfort and protection. All these features appear in Animal Comics, but would generally be absent from the crime and horror comics that would come to dominate the market. 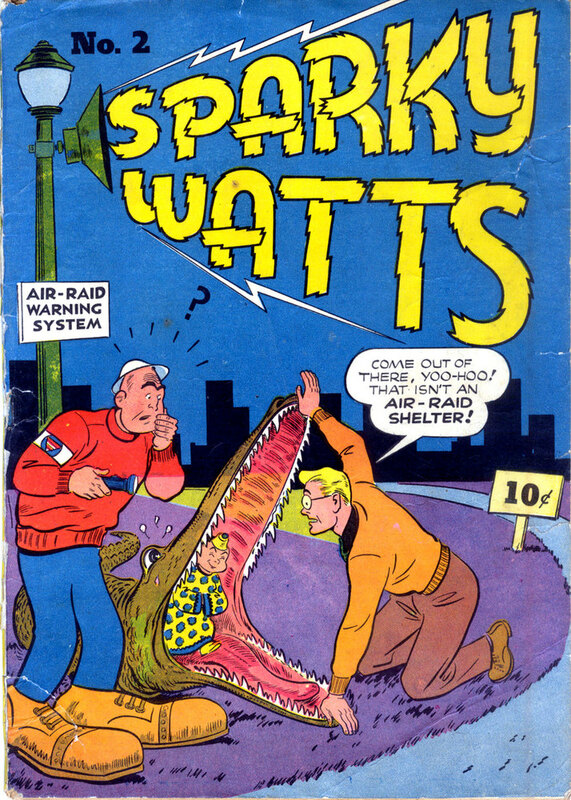 Humour comics, such as the Sparky Watts series, may not have employed these generic conventions of children's literature, but their silly, light-hearted portrayals of wartime, along with a simple, caricature drawing style recalled the newspaper comic strips that were generally considered inoffensive, safe children's reading.